If you want to see many of the junior gymnasts that could be making senior GB teams over the next ten years the Bill Slater Junior teams is a great place to start. Youngest Gymnasts must turn nine in the year of competition making them British Level 4 gymnasts, the oldest can turn 15 making them second year juniors. This means there is quite an age range which obviously will have an effect on the position of many of the teams filled with much younger gymnasts. Only gymnasts who did not represent their clubs at The British Team Championships are eligible, the competition works on a 6-5-4 format, and follows the junior FIG code. Clubs may enter more than one team, and are seeded on their results from the previous year, with clubs new to the competition contesting the early rounds on the Saturday, and those who did well the previous year competing on the Sunday. Heathrow took the bronze medal in a very close battle with Notts. Second to fourth place was only 0.4 apart, so a very tight competition among the top teams. There was a drop after fourth place of 8.55, so these three teams were in a group of their own. Congratulations to Chiara Bunce, India Sale, Madeline Hart, Martha Franks, Polly Hitchings, and Rochelle Spencer Smith of Heathrow. 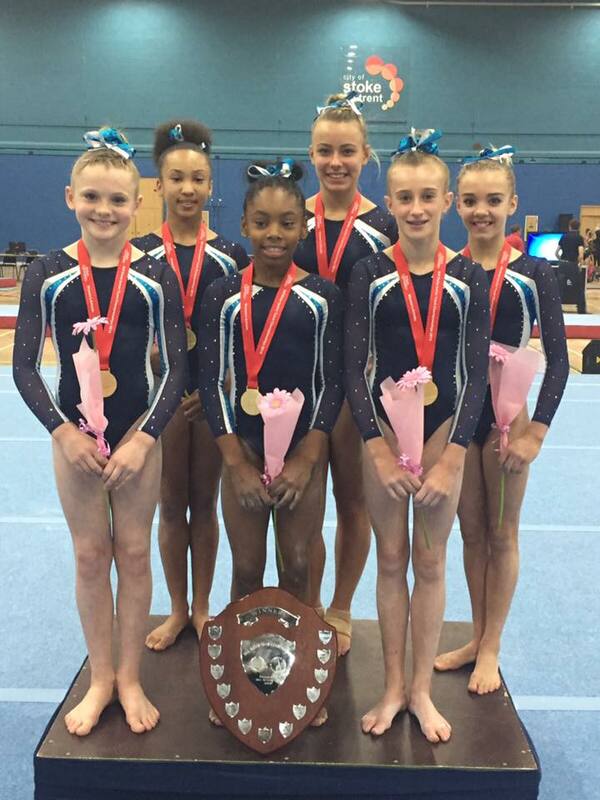 A big well done to Bella Aldridge, Caitlin Williams, Isla Lees, Laura Kaletha, Ramiyah Kofi, Scarlett Williams of Notts. 8 – 180.550 – Park Wrekin. 1 52.700 – Megan Parker City of Birmingham A 1st year Junior GB Squad. 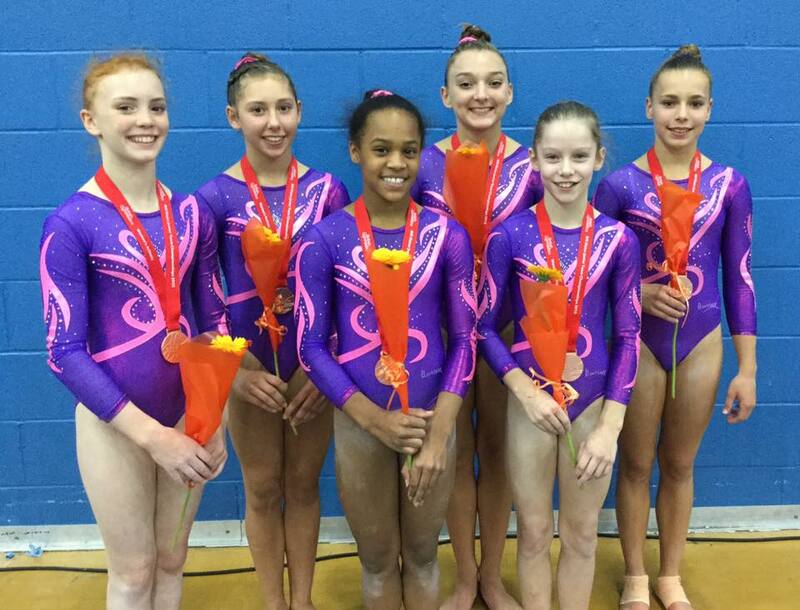 Other British squad girls are City of Birmingham Level 1 gymnast Oriel Powell placing 11th, Notts Level 1 Scarlett Williams placing 15th, South Durham Level 2 Leah Greenland placing 30th, and Pipers Vale Level 2 Molly Howland placing 22nd. 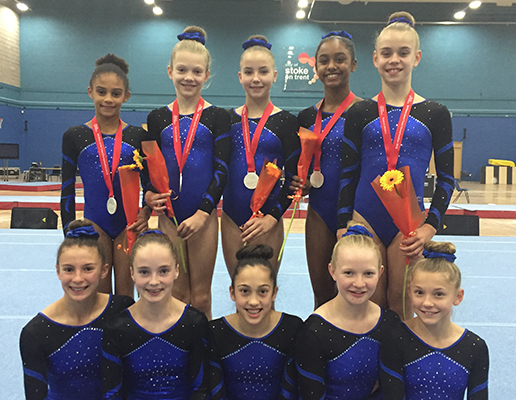 City of Birmingham also entered three GB development squad members in their B team, all Level 3 gymnasts, so just aged ten by the end of 2015. Miriam Allen Sophia Cabrera Sophia Meadows placed 34th, 48th, and 51st AA. No apparatus finals as such, but Megan Parker took three of the four highest scores, with Laura Kaletha coming out top on vault. 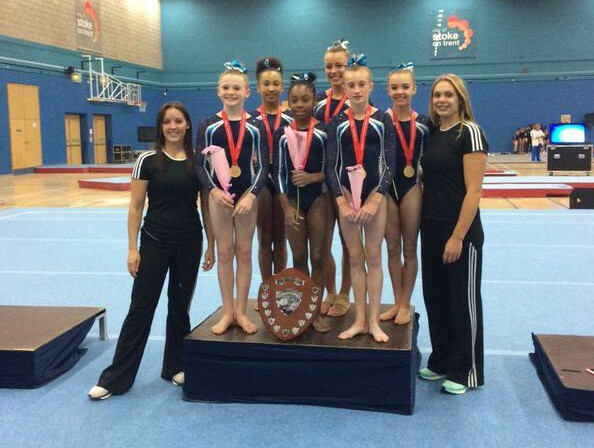 Many of the younger girls will be in action again in November at the British Voluntary Age Group Championships. ← Northern European Championships 2015.